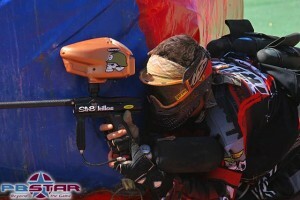 That’s right the 2011 paintball season is upon us and you can use MiamiRage.com for all of your paintball news! Looking for the homepage of the #1 str8 murdering team in paintball? You found it. MiamiRage.com is now online with news, team bio’s, the Rage gallery and more. The site will provide you with tools to get in touch with your favorite players as well as ways to let others know you support the fastest growing team in the sport of Paintball. MiamiRage.com’s gallery section includes pics taken of the team from some of the best photogophers in the circuit and provides you a way to show us and everyone who visits what you look like on gameday. Looking to buy some new paintball gear? Visit our store by clicking the picture above and get some great deals! Our forums page is setup to run through PBNation.com and we thank Tony and the guys for the hookup. We will have weekly updates on the team as well as league and sponsor news. Bio pages will be setup shortly where you can find the low down on your favorite Rage player. Just keep checking back as the site will grow more and more in the next few weeks. Spread the word Paintball is BACK! 3/07/2010 • Vanguard Sponsors Identity! Awesome! You’re back! I bought out of the store last month. Great deal. I’ll keep coming back to the site. where do you find the hours that you guys are open?